Samshield helmet of the highest quality is now available in a version for jumpers. The improved model of helmets is equipped with an elastic visor that is covered with grained leather and provides the same level of safety as its equivalent designed for extreme riding disciplines such as cross or races. Elegant, black colour. 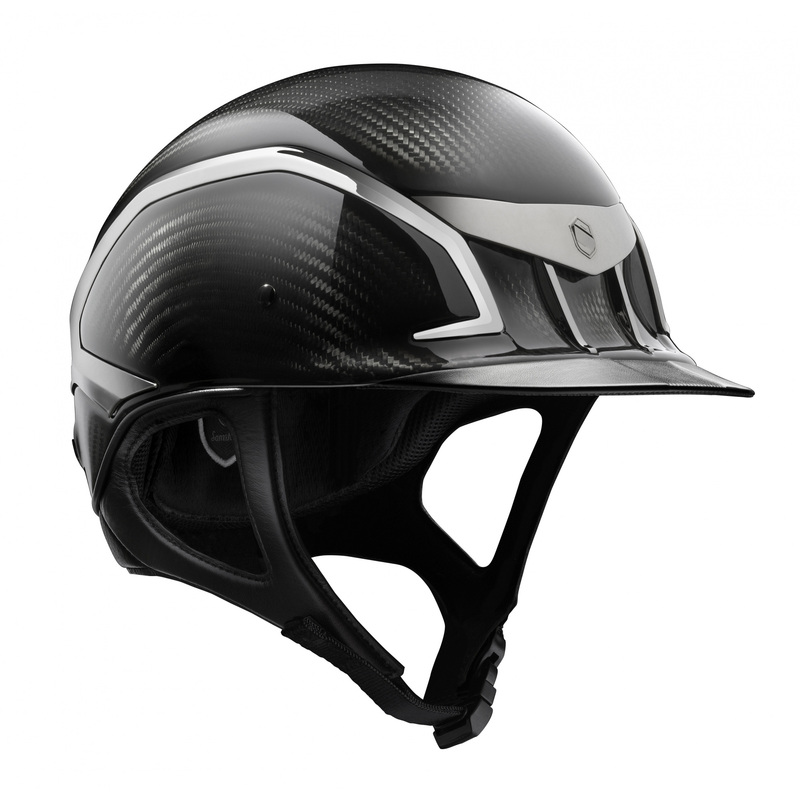 Outer shell of the XC-J Samshield helmets is made from carbon fibre, due to which the helmet is at both light and extraordinarily durable. Inside of the helmet is made from polystyrene, which absorbs the impact that accompanies the fall. Lining of the helmet is made from a light foam of a memory type, and it make the helmet fit the shape of our head with every time we wear it. That reduces to minimum the possibility of its shifting or falling completely from the head during a sudden fall. The filling is attached on solid Velcro and poppers. It can be detached and washed in 30°C. What is more, the helmet is equipped with two inlets on the front which provide the perfect air flow. Fresh air enters from the front of the helmet, flows through the entire helmet and displaces the heated air, what reduces sweating even on the hottest of days to minimum. 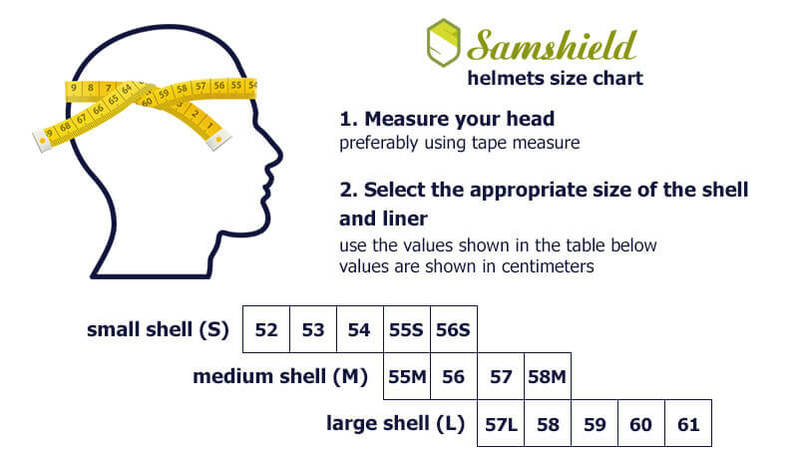 The helmet is available in two size of the shell – M and L.
Additionally, you can choose up to 6 various fillings to each size of the helmet (in sized from 53 cm to 61 cm). That will allow you to perfectly fit the helmet’s size to your head. What is more, it is a perfect proposition for young riders who need their helmets to grow with them. It is a way safer alternative for the popular regulated helmets.